Nippon, or the “Land of the Rising Sun”, is known to us as Japan. 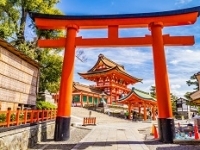 Its unique and complex culture make Japan a fascinating destination to visit. With its mix of ancient villages retaining strong traditions and ultra modern, high-tech cities, Japan is a country of contrasts. In the highly ritualised tea ceremony the kimono dressed hostess performs well rehearsed and graceful movements. Koi carp disturb the glasslike surface of the ornamental pond with its small stone bridge. The sweet fragrance of cherry blossoms drift on the gentle breeze, with Mount Fuji as the backdrop of this timeless scene. Trendy teenagers are parading futuristic fashions as you board your bullet train in Tokyo. 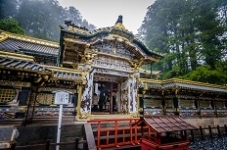 Takayama offers beautiful mountain landscapes and Osaka is Japan’s foodie town. History is the attraction in Kyoto and Hiroshima, with fantastic skiing opportunities all over Japan in winter, from Nagano to Niseko. Enjoy tempura, teppanyaki, yakitori, or sashimi paired with warm sake or a cold Asahi or Sapporo. Try green tea or wasabi flavoured ice cream if you’re game! Experience a traditional onsen or communal hot spring bath in the snow, or a role play at a former geisha house to gain an understanding of this ancient tradition. 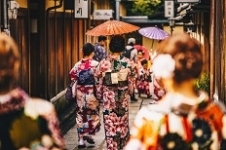 Japan promises endless fascination and great memories. Experience the golden route of Japan in 9 days including a visit to the bustling city of Tokyo and Mt. Fuji. Take in the views of Mt Fuji, stay in temple lodging and a traditional ryokan, gaze at the famous floating gate Miyajima Torii and explore Kyoto's Nijo Castle. This 14-days itinerary will take you through the historical, cultural and natural aspects of Japan with some fascinating activities. Encounter Sakura, the national flower of Japan, while attending Hanami (Flower viewing) in Tokyo, Mt. Fuji, Hakone, Osaka, Nara and Kyoto. 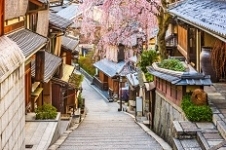 View amazing architecture, World Heritage Sites and dive into the historical aspects of Japan. Experience the cultural and edifying traditions, spectacular architecture and sublime natural landscapes that create the unfailing allure of stunning Japan. Traverse the villages and valleys, temples and towns. 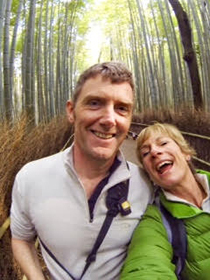 Discover the beauty of Japan in this 9-day itinerary taking you to all the must-visit places! Extend your trip to Japan and continue on from Kyoto to Hiroshima with its Peace Memorial and beautiful Miyajima Island. 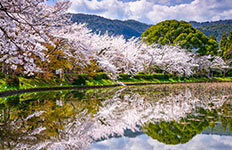 Travel by train to Osaka with its historic waterways and famous Osaka Castle. Japan is blessed with some of the world's best skiing, and famed for reliable powder snow. Myoko Kogen is a powder lovers paradise consisting of 4 main ski areas it receives some of the heaviest snowfalls in Japan. 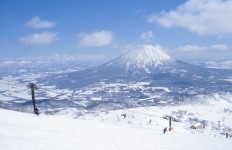 Japan is blessed with some of the world's best skiing, and famed for reliable powder snow. 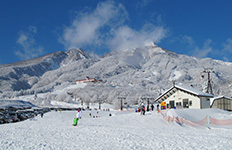 Shiga Kogen includes 19 separate ski areas with 75 lifts which make up the largest ski resort in all of Asia. 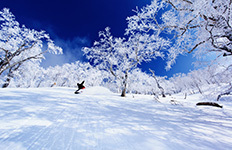 Japan is blessed with some of the world's best skiing, and famed for reliable powder snow. Rusutsu has ski in and ski out hotels, some of the world's best powder snow and previously awarded the world's best small ski resort. 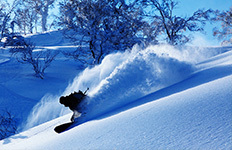 Japan is blessed with some of the world's best skiing, and famed for reliable powder snow. 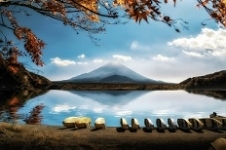 Niseko has become popular with skiers and boarders from all over the world and is famous for super dry powder snow. Japan is blessed with some of the world's best skiing, and famed for reliable powder snow. 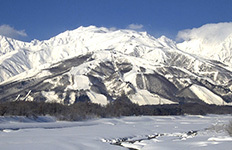 Hakuba on the island of Honshu stands out as one of Japan’s best ski areas and famous for visiting the snow monkeys. 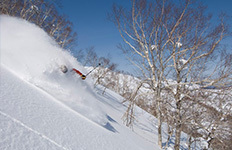 Japan is blessed with some of the world's best skiing, and famed for reliable powder snow. 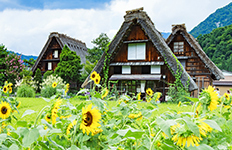 Nozawa Onsen is a beautiful Japanese farming village located in the north of the Nagano prefecture in the Joshinetsu National Park.